Welcome to the Denmark Jerseys store at Soccer Box. Here you can shop for the official Denmark football shirt. The Denmark national team is one of the oldest national football teams in the world. They played their 1st International against France in 1908. However, despite the FIFA World Cup 1st being played in 1930 the Denmark football shirts did not make their debut until 1986. If you are Danish or simply a fan of the team the brand new Denmark shirt and soccer jerseys are a must have purchase. You can order the latest shirts as they become available from the Soccer Box store, we offer a selection of delivery options to suit your requirements including next day UK, and expedited international, ensuring you get your new football shirt as soon as possible. Order your Denmark jerseys and football shirts online at Soccer Box - Where Authenticity is Guaranteed! 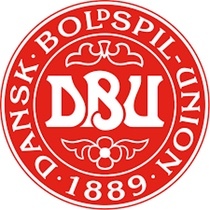 The Denmark national team is controlled by the Danish Football Association, players must meet FIFA eligibility criteria prior to being selected for the team. Professional football players wearing the Denmark shirt must have a birth right to claim Denmark as their nationality either through a parent or grandparent. The Denmark football jerseys are popular throughout the country as the Danish people cheer on the team. Adidas is the supplier of the Denmark shirt and at Soccer Box we only stock the official shirt and merchandise. When you shop with us you are guaranteed to be purchasing official Denmark football shirts. The Denmark home football shirt is traditionally red. The team colors are red and white. The home football shirt is always predominately red with white trim; the away football shirt reverses this color scheme. Whether you choose the home or away football shirt wearing official jerseys and merchandise is the perfect way to show your team support. When playing at home the Denmark soccer jerseys are usually seen at the Parken Stadium. The Danish national team as well as FC Kobenhavn use Parken Stadium, it has a capacity of 38,065 as an all seated stadium. Denmark attracts a significant number of fans to their home matches. The football shirt clad fans are usually sporting a selection of Denmark accessories and merchandise to brighten up their match day look. As well as the latest football shirts and jerseys you will find a selection of official Denmark accessories when you explore our store. The Denmark national team has had little World Cup success, only securing qualification on 4 occasions to date. Their best performance was reaching the quarterfinals in 1998. Conversely, the Denmark jerseys and jerseys have had more of an impact at UEFA European Championships. The team and fans wearing the Denmark football shirt celebrated winning Euro 1992; the team was also FIFA Confederations Cup champion in 1995. You can show your support by shopping for official team football shirts and jerseys now. You may like to browse some of the other national team football jerseys that we have available. This store has some fantastic merchandise that you may also be interested in, use the category menu located above to navigate to a specific team. Add a Denmark football shirt and show your love of the beautiful game. Get the Official Adidas Denmark Shirts and soccer Jerseys Delivered to Your Door when you Shop at Soccer Box!